I have recently discovered a new favorite oil. Lime! It smells like tart candy and tastes amazing. Because I seem to be consuming it daily in my water – I did a little research to figure out if there were side benefits besides getting me to drink more water. I found out it does all sorts of things, and is one of the cheapest oils you can buy – bonus. Lime oil may help regulate blood pressure, especially due to stress. Lime is one of the key ingredients in one of my favorite oil blends, Stress Away. I know Rachel can attest to its ability to lower blood pressure. By adding a drop to your water throughout your day, you are also increasing your energy levels and boosting your mood. Who doesn’t need that? Lime is a powerful antiseptic, and when applied externally, it can cure infections on the skin and in wounds. Along the same line, lime oil helps to fight and protect against viral infections, which may cause the common cold and all strains of influenza. Lime oil will tone muscles, tissues and skin as well as the various systems that function in the body, including the respiratory, circulatory, nervous, digestive and excretory systems. 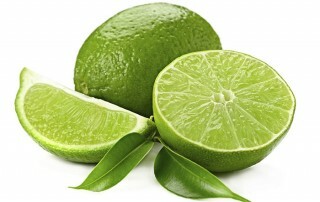 Lime oil can reduce pain in the muscles and joints and is a very good antioxidant. This is cool – when consumed, lime oil is known to heal infections of the throat, mouth, colon, stomach, intestines, and urinary system. It is also miraculously effective in curing sores, psoriasis, ulcers, and rashes. Mix 2-3 drops of lime oil in 1 ounce of water. Mix well, and then place on cotton ball. Apply to acne. Can also be used as a toner for oily skin. Something that I am excited to try, I read that for varicose veins you can mix 2-3 drops in a carrier oil and massage on affected area. For arthritis and rheumatism, use 2-3 drops in 1 ounce of carrier oil and massage on affected area to help heal and alleviate pain.